So Newheek experimented. First put the ball in the anode and the cathode cable head, hanging in the air and cable head cannot alignment metal can produce high voltage discharge, otherwise it is worth noting that the cathode must solve, after off if anode cathode unsolved, add high voltage anode filament light, electron bombardment will launch the anode target surface, anode target surface is punctured or partial melting. The high-voltage power test was carried out under the condition of 75kV, to observe whether the milliammeter has an index, and the full deviation confirmed the cable breakdown, or the anode 90kvdc high voltage cable was pulled out from the high-voltage generator, and the switch gate with the ball tube was connected to the perspective part, and the host machine was selected to work in the perspective part. 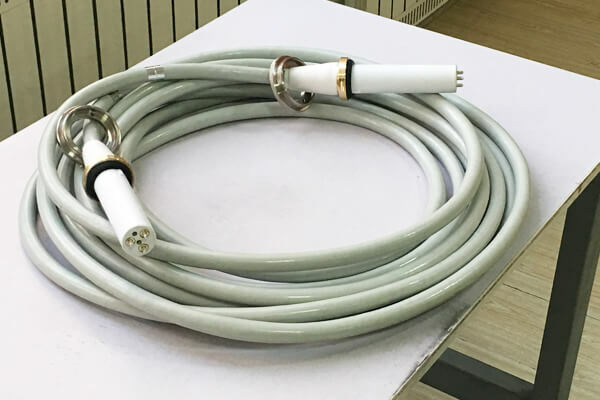 Newheek 90kvdc high voltage cable 5m can meet your different purchasing needs.